This shirt is a better quality shirt than the sequin shirts that I can have made now. 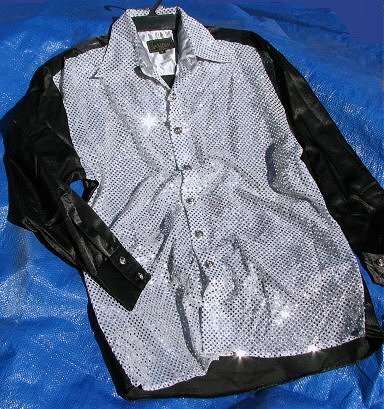 The silver and white sequin front is not as thin as most current sequent fabric. I only have one of these. The shirt has black satin arms and back. may only be around 31 or 32 inches.